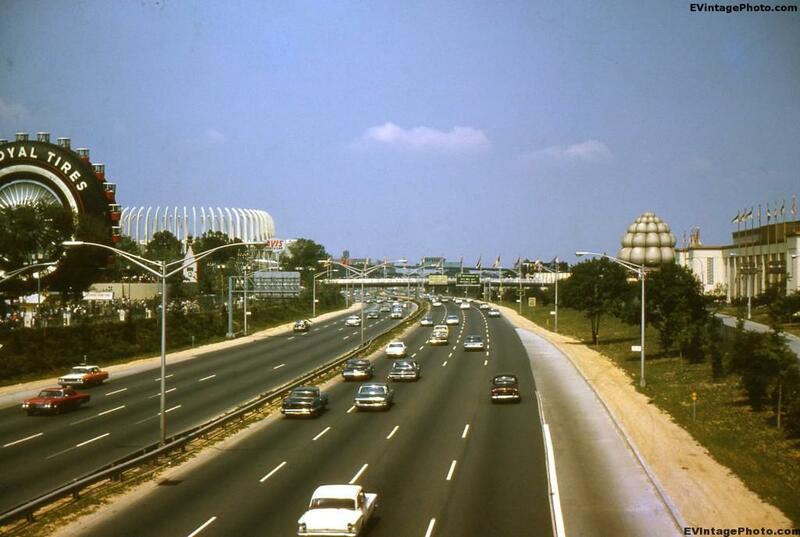 Here is another picture from 1965 of the New York World’s fair. We’ve already seen a few various pictures from the fair. We saw Walt Disney’s Carousel of Progress. A view of the fair entrance, and a picture of Mickey Mouse himself making an appearance at the fair. This is a great photo because of all the cars. Some very interesting models in here. I see a Chevy, Pontiac and a Volvo at least. And a half dozen other unknown vehicles. What can you see?